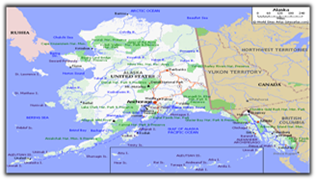 Alaska Respond (AK Respond) is part of the national ESAR-VHP (Emergency System for Advanced Registration of Volunteer Health Professionals) program. 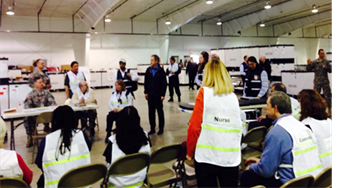 This national network of state-based volunteer registration systems manages responders in disasters and public health emergencies. The term responder is a volunteer in this program. The system verifies the identities, licenses, certifications, credentials and hospital privileges of volunteer healthcare professionals. 2. Who can volunteer in Alaska Respond? There will be a need for responders with all types of skills and expertise, both medical and non-medical. Some non-medical positions that may be needed include, but are not limited to, interpreters (languages and hearing impaired), radio operators, day care providers, security, and clerical workers. Responders who are ineligible for AK Respond are encouraged to register with their local emergency volunteer group. Refer to Question 3 for a list of voluntary emergency preparedness groups. 3. Should I join another emergency preparedness volunteer group in addition to registering with Alaska Respond? We highly encourage participation in your local emergency preparedness group. By volunteering in your local community, you contribute to the safety and security of your family, friends and neighbors. Volunteering improves your emergency preparedness knowledge and skills, while providing access to practical experiences, exercises and trainings in non-emergency environments. Citizen Corp (CC) was created to help coordinate volunteer activities that make our communities safer, stronger, and better prepared to respond to any emergency situation. It provides opportunities for people to participate in a range of measures to make their families, their homes, and their communities safer from the threats of crime, terrorism, and disasters of all kinds. For more information, visit http://www.citizencorps.gov. 4. Under what conditions will I be contacted to provide emergency services? You may be contacted if local, regional, state and/or interstate resources are overwhelmed and cannot meet the needs of a disaster or public health emergency. 5. Is it required that I register now or can I register later? Advanced registration is encouraged to enable the state to produce an immediate list of licensed and credentialed responders who may be needed. The ability to quickly identify and contact volunteer healthcare professionals is the primary function of the registry. In addition, the registry will serve as a resource and tracking mechanism for AK Respond training opportunities. It will also help ensure that responders and services are available during a disaster or public health emergency, when needs are at a critical level. 6. Do I need any special training or expertise to be a responder? Yes. We highly recommend all responders complete the “Introduction to Incident Command” (ICS 100.b) course, the “Basic Disaster Life Support” (BDLS) course and “Ready to Respond: Personal Preparedness”. In addition to these trainings, “Just in Time” Training" (JITT) would be provided prior to a mission deployment. We will send you information periodically on training opportunities. Alaska Respond provides FREE training to volunteers on a variety of emergency preparedness and response topics. These trainings will be provided through live webcasts and broadcasts; local and area state conferences; symposia; and printed or electronic materials. All training information, including upcoming trainings, are posted under “Training” on the AK Respond website. 7. I have an out-of-state license. Am I eligible to sign up with Alaska Respond registry? No. Currently, out-of-state responders are not able to enroll in Alaska Respond. The registry can only verify in-state professional licenses at this time. Registering is as simple as logging onto the website and entering the information requested. Visit http://www.akrespond.alaska.gov and select the "Register Now" button on the home page. You should have information about your professional license and contact information available in order to complete the registration process. You may start and stop the registration process at any time. Simply login to the registry with your username and password that you create to complete any sections you have not finished. Please list your highest level certification as your first occupation, e.g., Advanced Nurse Practitioner, then yoursecond occupation would be Registered Nurse. 9. How will I update or change my information? During registration, you will create a secure user name and password. You will need to login each time to update your contact information. We suggest going into the system at least twice a year to review your profile. Simply use the "edit" button and “save changes” on any page to add, change or delete information. 10. How will my credentials be verified? AK Respond will utilize the appropriate licensing boards to verify the status of licenses. Credential verification allows the system to identify responders who have the qualifications needed for a specific request in a current disaster or public health emergency. Verifying and assessing qualifications of a healthcare professional are aspects of credential verification. Only volunteer healthcare professionals, with verified licenses, will be utilized to provide patient care, treatment and services in / for a healthcare entity or to a local response area. 11. How would I know if I am needed during a disaster? Requests for responders will be sent through Alaska Respond registry via email, phone or text using the contact information provided. In the event that you are contacted, you will receive necessary information related to the mission and possible deployment. Therefore, please be sure that the information you enter is kept up-to-date (telephone, address, etc.). 12. What is my responsibility to my current employer? It is your responsibility to make necessary arrangements with your employer in order to take the time off to volunteer. AK Respond recognizes that volunteers may have responsibilities towards their employers prior to, during and after an emergency that prevent them from volunteering for a specific mission. 13. If I register, am I committed to respond when called? What if I have obligations that do not allow me to volunteer at the time of an emergency? Registration with Alaska Respond does not commit you to volunteering as a responder. It is understood that personal circumstances can prevent you from responding. Your service is voluntary and you are not obligated to assist. However, AK Respond encourages all responders to have a personal preparedness plan. This preparedness plan will not only help to protect you and your family, it may allow you the opportunity to respond without worrying about your family. 14. What if multiple programs contact me to respond during an event? All volunteers have responsibilities that must be met before they can respond to a callout, whether it is to family, employer, or another organization. You will need to decide for yourself what commitments you can make and what your preferences are for deployment. 15. What will be my level or length of commitment in an event? When you receive the notification to respond, other vital information will be given regarding the event so that you may determine whether or not you want to volunteer. It is helpful to the process if you mark deployment preferences in the registry. 16. What types of tasks will I be assigned? Needs and tasks will be determined by the event. Alaska Respond will use responder information to assign tasks based on the individual's qualifications, experience and availability. Every attempt will be made to match the skills and license or registration level of the responder with an assignment. You will be asked to only perform tasks that are consistent with, and do not exceed your scope of practice and level of licensure. To satisfy clinical needs and provide surge capacity during emergencies, healthcare professionals may be assigned to tasks that are less challenging than their usual professional activities, including non-medical and general tasks. 17. What are conditions like in the area where I am deploying? To what types of risks will I be exposed during an event? Responders will be needed in many different types of emergencies, such as floods, earthquakes, large fires or an infectious disease outbreak. Emergency situations can pose serious risks. It is important to understand that responding to a disaster can be mentally and physically challenging. Conditions in the affected area could be primitive and you could be working in an area of severely limited resources. The climate will be dictated by the season in which the event occurs. Responders will receive information about the event, associated risks and will not be asked to attempt or perform any work for which he/she is not trained or prepared. All licensed healthcare professionals will need to consider their Professional Standards and Scope of Practice when volunteering. Each responder must ask themselves, "What types of incidents am I willing to respond to?" prior to accepting a volunteer assignment. 18. How should I prepare for deployment? What should I bring with me? It is important for all persons, especially healthcare professionals, to be prepared for disasters. Responders should have a Personal Disaster Plan and maintain a Disaster Supply Kit. Keep a paper copy of your license in your home and take the copy with you to any deployment. See the list of recommended items for a Go-Kit. You will be provided appropriate equipment / supplies prior to any deployment. For more information on personal planning, visit http://www.ready.gov/. 19. Are there any specific health concerns (e.g., vaccinations) that are required for me to participate in Alaska Respond? No mandated vaccinations are required for volunteers. It is recommended that you stay current in your Tdap (Tetanus, diphtheria, pertussis) immunization status. However, in the event of certain events (e.g., pandemic influenza, bioterrorism) where a medical countermeasure is available, you will receive that countermeasure, if needed. 20. Will I have liability protection while I am responding? If the State of Alaska activates Alaska Respond, responders may be hired as an emergency hire in order to provide liability coverage. In 2009, during the H1N1 Influenza outbreak, volunteers responded and liability protection was covered through Alaska Statutes. The following are some Alaska Statutes that may apply in the time of an emergency. This issue would be discussed and further information disseminated during the deployment meeting. 21. If I become injured as a result of the volunteer work, are there any provisions for my medical care? Workers' compensation coverage is provided for responders as an emergency hire to the State of Alaska. Once you are registered, you can go to the top right of any page to the Help Center and click on "Online Help" or "Video Help" or "Quick Reference Guides" for further information specific to the data registry. Contact us at hss.akrespond@alaska.gov or call DHSS Health Emergency Response Operations at 907-334-2602. These frequently asked questions are for informational purposes only. These FAQs do not provide specific legal guidance or advice to any person. Rather, these FAQs are meant to serve as an assessment tool for individuals who are considering participation in the Alaska Respond registry.